Tig Monahan, radio therapist, finds out the hard way that nothing is fair in love and war….or family. Everything is falling apart in psychologist, Tig Monahan’s life. Her mother’s dementia is wearing her out, her boyfriend takes off for Hawaii without her, and her sister inexplicably disappears leaving her newborn behind. When a therapy session goes horribly wrong, Tig finds herself unemployed and part of the sandwich generation trying to take care of everyone and failing miserably. Just when she thinks she can redefine herself on the radio, as an arbiter of fairness, she discovers a family secret that nobody saw coming. It will take everything plus a sense of humor to see her way clear to a better life, but none of that will happen if she can’t let go of her past. Kirkus Reviews Garvin (On Maggie’s Watch, 2010) is insightful about grief and the pervasiveness of denial. Those familiar with 12-step programs will recognize the brand of tough love depicted here. With humor and compassion, Garvin shows how recovery depends on honesty—often with other people who share an addiction, whether to booze, drugs or shoplifting—and on helping others, whether stray dogs or stray people.Hopeful but not saccharine, this novel offers a deeply sympathetic view of recovery from grief. 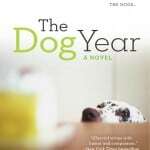 Reminiscent of the best of Gail Parent and Alison Lurie, THE DOG YEAR is the story of a woman who had everything, lost everything, and now wants to shoplift the rest, including the hope of life after the death of her heart, lost when her husband and child died in a dreadful accident. Ann Garvin’s writing sneaks up on you: it is hilarious, until it’s poignant, until it’s heartbreaking. She leave no heartstring untugged, no funny bone untapped, and every word she sets down is honest. Jacquelyn Mitchard, New York Times Best Selling author of The Deep End of The Ocean. “I know of few authors who are funnier or more sympathetic than Ann Garvin, and I know of few heroines more in need of comic relief and sympathy than Dr. Lucy Peterman. This novel will make your stomach hurt with laughter and your heart ache with sadness. The Dog Year is a kind, gentle, honest look at a woman whose life has come apart and a survivor who puts it all back together.” Wiley Cash, author of This Dark Road to Mercy and A Land More Kind than Home. 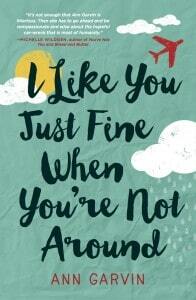 “Ann Garvin has written another hilarious, insightful, and heartbreaking book. Lucy Peterman is one of Garvin’s signature characters: deeply flawed, nakedly honest, and a whip-smart sarcastic modern woman who finds herself adrift in a world that seems intent on leaving her behind. But Lucy does not give up easily. THE DOG YEAR is a deeply intimate story of tragedy and recovery that readers and book clubs will treasure.” Matt Bondurant, author of The Night Swimmer and The Wettest County in the World Made a major motion picture Lawless. “Poignant and humorous, The Dog Year demonstrates the power of pets to heal, comfort, unite, and ultimately save people–particularly those who need saving most. Ann Garvin writes with a gentle touch about the art of being human, and her novel will almost convince you that dogs are people too, providing unconditional love, limitless affection, and to-die-for loyalty.” Dr. Marty Becker “America’s Veterinarian” Author, Dr. Oz contributor, Taking petrified out of pets. Ann’s book The Dog Year combines her years of working in health care and health education along with her almost ridiculous love of dogs. This book is for anyone who has spent even one afternoon in the presences of doctors and know how quirky they all can be. She added dogs to the mix because sometimes the best parallel to humanity is a canine counter part. She pretty much makes fun of everybody but if you don’t watch out, you’ll be brushing away tears too. ‘On Maggie’s Watch’ order through these retailers. Health can be brutal. While Ann wrote her novel she taught nutrition, stress management and health promotion to college students and published in scientific journals. She’s decided it’s time to open up her teaching to a wider online forum. Her blogger friends, colleagues, writer pals, twitter people and students all need a little help now and then. That’s what the Feel Better Little-by-Little Challenge is all about. So mix one part over-educated health enthusiast and two parts imagination and you get a fiction book where even the doctors get a little help AND a blogger who uses her fiction voice to help you all feel better. Come sit by me and feel amazing!